Description: Prime Quilchena area at Granville Ave & No 1 Rd. 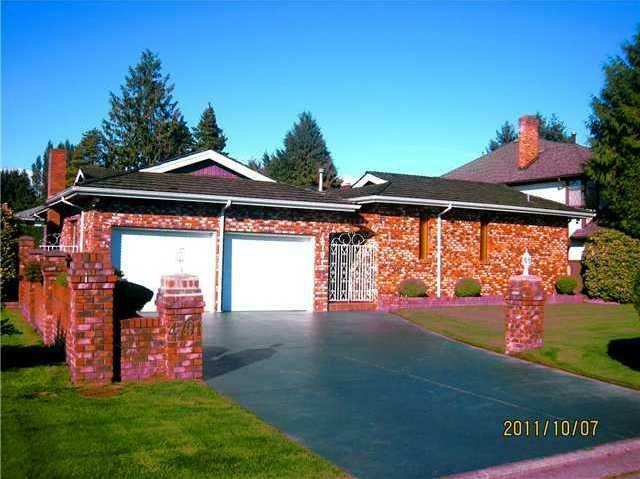 Extremely well kept 4 bedrooms & 3 baths rancher sits on an almost 8000 sq ft south facing lot. Gorgeous brick exterior, spacious entry hall, formal living & dining room, large kitchen with new appliances, huge family room connecting to a 30'x11' solarium, hot tub room with skylight, auto sprinkler, security system, large frontyard & backyard, double garage & more.... Close to Grauer Elem, Burnett High & community centre. Come to view this gorgeous home!